Many happy couples each year choose to get married in the Canary Islands. Although the sunshine isn’t guaranteed 100 per cent, it is still a much safer bet than in the UK and Ireland – especially during the winter months. For many couples, the risk of rain on the wedding day just isn’t worth it. So – what if you could almost guarantee the sunshine, in a month that isn’t August? Well, if you choose to get married in the Canary Islands, you can! Imagine your ceremony with the sea and palm trees as a backdrop, stunning flowers contrasting beautifully with the bright blue skies. Follow that with a fabulous meal in a breathtaking location such as a luxury hotel or your favourite restaurant. Better yet – imagine it costing less than the average wedding back in the United Kingdom or Ireland. Got it? Good – because all of this and more is possible if you choose to hold this special day on one of the Canary Islands. A quick Google search will bring up a number of results for someone who can remove the stress of wedding planning for you – leaving you to ensure that you are fully rested and ready to enjoy your once in a lifetime moments. Special mention must be made of Rocks and Roses Weddings, however. We’ve known Sue Herman, who owns and runs this popular business, for many years. Sue lives in Playa Blanca on Lanzarote and, along with her super team, covers that island plus neighbouring Fuerteventura. Rocks and Roses Weddings enjoy an excellent reputation and we would recommend them without reservation. Drop Sue a line today and have a chat about how Rocks and Roses can make your wedding really special. You can contact her via her website HERE. Jackie Lee was one of the first people we got to know professionally when we lived in Lanzarote, and our business relationship soon blossomed into a friendship. Anyone who meets Jackie is bowled over by her friendly personality and she is simply perfect as a wedding celebrant. Jackie has several feathers to her bow though, and she is a well-known and well-loved long-term resident of the island. If you are seeking a professional, approachable woman to perform your wedding ceremony, renewal of vows or even christening – then do speak to Jackie Lee. She’s a lady in demand, so get in quick. What better way to capture the memories of your special day, consider hiring a professional photographer. Phil Crean is based in Tenerife but covers the entire Canary islands. He can be with you every step of the way as you enjoy the sunshine and time with your friends, celebrating your wedding and making new memories. Photos of the bride, the groom, the bridesmaids, family, friends and of course your beautiful venue are all part of what makes your day extra special. We are always thrilled to recommend Glynis from Flowers by Serenity. We have used her services more than once, and she never disappoints. Bouquets, corsages, table toppers, seat plans and weddiing favours – Flowers by Serenity can ensure your day is full of style and colour. 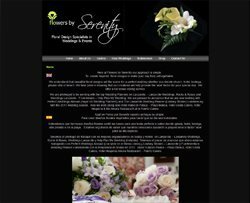 By visiting the Flowers by Serenity website, you can see examples of the options available and read testimonials from many of her customers. Of course Glynis can take care of many other event types too, or simply arrange for a bouquet for your special someone. It is your nationality and residence location that determines the legal requirements for getting married in the Canary Islands. If both parties are Spanish citizens, then it’s simple and straightforward. The same can be said for those who reside on the Canary Islands legally – although various pieces of paper will need to be provided to the applicable Ayuntamiento (Town hall). Unfortunately, if neither parties hold Spanish citizenshiop or residency, then things are more complicated. However – you can still hold a ceremony in the sunshine, and then just have your legally binding ceremony back where you live. It is always worth speaking to a Wedding Planner who can guide you through all of this. You can also go to the British Consulate for advice. They have a useful page on their website which tells you exactly what paperwork you need. Click HERE to start. A wedding is legally binding in every way, regardless of nationality, if both parties are Catholic. You must, however, refer to your home country’s legal requirements first. All that needs to be done then, is to choose your church, set your date with the priest and then ask your own diocese for some documents. Allow about a month for the documentation. You will probably also have needed to take the prematrimonial course at home before heading out to get hitched. First step – speak to your local priest. 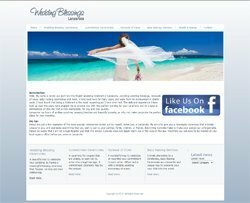 If you have a business related to getting married in the Canary Islands and would like to enjoy the same exposure as the companies mentioned above – the cost is just €50 (+IVA). 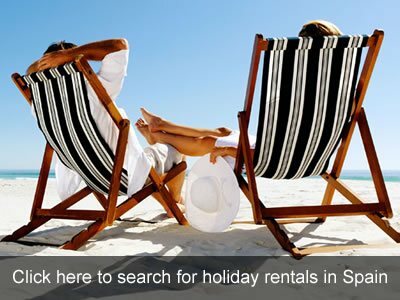 Email us on info@spainbuddy.com and we’ll take care of you.